Seal Point, Cape St Francis – Breezy onshore conditions and a slight surge in swell greeted competitors on the final day of competition at the Billabong Junior Series Finale, and the first heat of the day – the U12 Girls Final – was sent straight out into the Seal Point lineup..
Gabi Herbst was the surfer of the morning with a few incredible rides in the mixed up conditions, including an excellent 8.0 out of 10 for one ride which secured the title. Sarah Scott was the runner up. Kai Hall was the champion in the U12 Boys final, banking one huge score for two critical turns on a big set wave for a near-perfect score of 9.33 and an unassailable lead. Hall was closely followed by Joel Fowles who surfed impressively on his backhand. Luke Thompson caught 11 waves in his Final heat to defeat James Ribbink in what was an exciting U14 Boys heat. Thompson’s strategy of hard and fast surfing, catch anything that moved, proved to be the winning formula, with Ribbink, Daniel Emslie and Brad Scott filling up the minor slots. As the tide dropped out and the onshore waves continued to pour through relentlessly, the U16 Girls headed out for their final, and it was an action-packed exchange with three of the girls on their backhand and one on her forehand. Zoe Steyn emerged victorious with a convincing win against her counterparts Kayla Nogueira, Ceara Knight and Caroline Brown who placed second, third and fourth respectively. The U16 Boys was another final dogged by few waves and low scores. Tide-Lee Ireland snagged the win from York Van Jaarsveldt with a combined score of less than 9 points. Mitch Du Preez and Reilly Mare’ finished off the results with third and fourth spots. 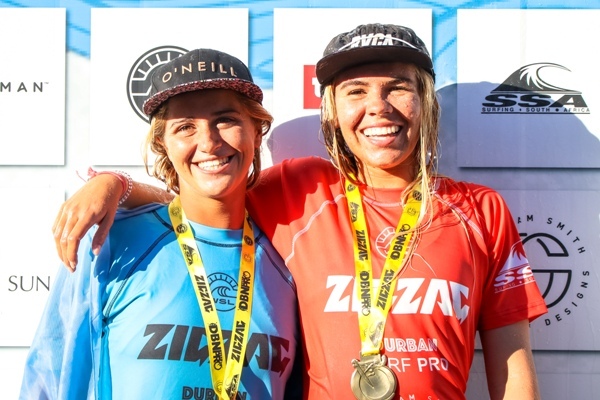 The World Surf League (WSL) Junior Women’s final a nail-biting affair as Zoe Steyn and Kai Woolf took centre stage. Both surfers had been surfing phenomenally all event and it was going to be about the surfer who caught the best waves. That was Steyn, and she won the final by a close margin from Woolf. Then Max Elkington and Luke Slijpen took to the water to battle it out for event honours in the WSL Junior Men’s event. It was all about Elkington who took the win and broke his year-long victory drought with his first place. 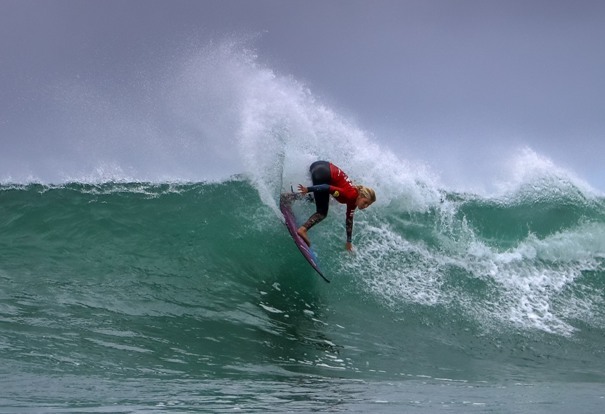 The world’s longest running professional surfing event will celebrate its Golden Jubilee in KwaDukuza this year when many of the world’s best surfers take to the surf in the Ballito Pro pres. by Billabong at Willard Beach on 25 June. The event that started out as the Durban 500 in 1969, evolved into the Gunston 500 in 1971, became the Mr Price Pro in 2000 and moved to Ballito in 2009 has always been a key event on the annual World Surf League (formerly ASP) schedule and is set to commemorate its 50th anniversary this year as the premier event in the continent’s biggest beach festival. For the tenth consecutive year the region will host the world’s best men in a WSL Qualifying Series (QS) 10,000 rated event with a prize-pool of R3.1 million and the highest available ranking points at stake. The women will showcase their talent in the QS1,000 Ballito Women’s Pro pres. 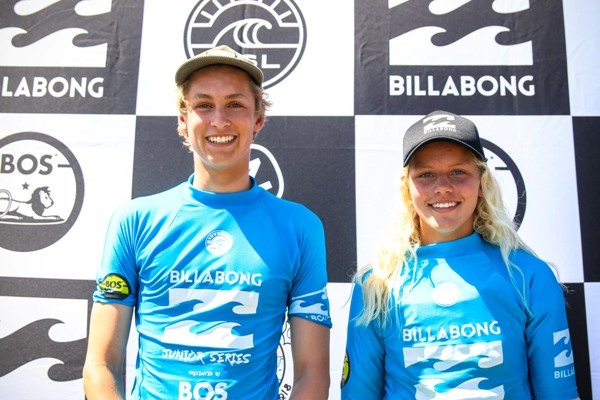 by Billabong while the historic 21st edition of the Billabong Junior Series pres. by BOS includes events for men and women aged 18-and-under at Ballito for the third year. “We’re excited to host the Ballito Pro for the 10th consecutive year,” says the Mayor of KwaDukuza, Cllr Ricardo Mthembu. “This event is a significant economic multiplier, which presents opportunities for local businesses and communities alike in the region. On the other hand, it is undisputedly an A-list sports tourism event and entertainment scene in South Africa. This year’s edition will be bigger and better than ever as it again welcomes the support of global apparel and equipment giant Billabong. “Billabong is once again proud to be presenting the Ballito Pro for 2018,” said Chad D’Arcy, Group Marketing & Sales Manager for Billabong South Africa. “Our relationship with KwaDukuza continues to flourish and we look forward to another amazing chapter in this event’s rich and storied history. 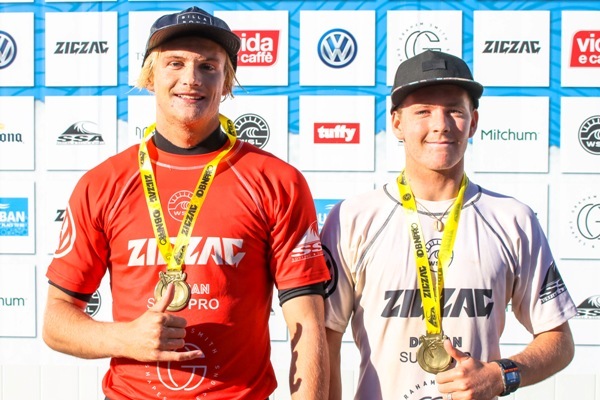 Last year’s men’s field included a dozen of the world’s elite WSL Championship Tour (CT) surfers and was won for a second time by South Africa’s own Jordy Smith (Durban). Runner-up Willian Cardoso (BRA), third placed Michael February (Cape Town) and the likes of Jesse Mendes and Yago Dora (both Brazilians) all went on to qualify for the prestigious 2018 CT thanks to the significant number of ranking points they earned in Ballito. The 112-man entry for the event provides local WSL Africa members with invaluable experience competing against the world’s best, along with opportunities to earn prize-money and coveted rankings points which assist them in gaining entry to the higher rated events internationally and also count towards the annual WSL Africa title. Competitors in the Ballito Women’s Pro pres. 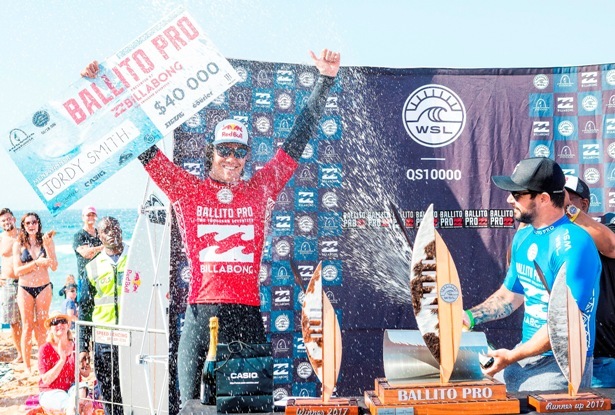 by Billabong also earn prize-money and points on both the international and regional rankings while the18-and-under competitors in the Billabong Junior Series pres. by BOS will be striving for the prestigious event titles and selection for the WSL Africa squad that is invited to the annual WSL World Junior Championship. “My sincere thanks to KwaDukuza Municipality, the residents, Billabong and Ballito for continuing to be a part of our global surfing family for another three years,” said WSL Africa Operations Manager, Colin Fitch. “The nine years the event has been in Ballito has been nothing short of fantastic. 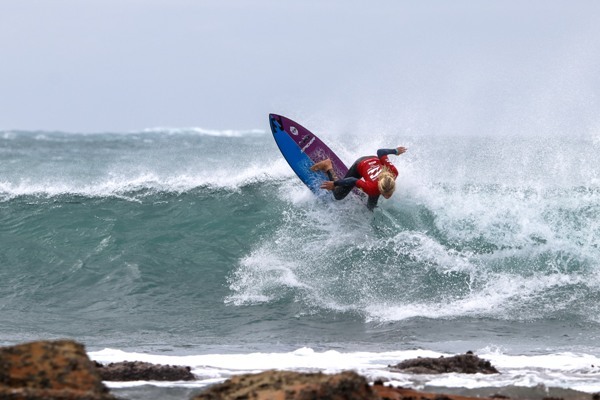 “Not only have we seen growth in the event and festival but also the growth of our surfers like Michael February, who has progressed from surfing the junior event all the way to becoming the first South African surfer of colour to qualify for the WSL Championship Tour. Thanks to the Ballito Pro presented by Billabong we now have two male surfers on the Championship Tour and along with celebrating the 50th edition of the event in 2018 we can proudly say that we are an Africa Force”. The Ballito Pro Surf Festival kicks off with the Billabong Junior Series pres. by BOS from June 22-24 before the crown jewel of the festival, the QS10,000 Ballito Pro pres. by Billabong, and the QS1,000 Ballito Women’s Pro pres. by Billabong take centre stage from Monday to Sunday, June 25 – 1 July. World surfing champion Shaun Tomson (1977) will be attending the Golden Jubilee celebrations of the event he won an unprecedented six consecutive times from 1973 to 1978. The former Durbanite, now an internationally acclaimed author and motivational speaker, will also conduct a Positive Wave Tour with business, council and the various high schools in KwaDukuza leading up to and after the festival that will all culminate in a Mandela Day celebration on 18 July. The Ballito Pro pres. by Billabong is proudly supported by the KwaDukuza Municipality, Billabong, Capitec, Casio G-Shoc, 5FM, Monster Energy, Zigzag Surfing Magazine, World Surf League (WSL) and Surfing South Africa (SSA).